What happens when you outsource accounting to BOSS and follow the Best Practice Program? 42%* profit and 30% year-on-year growth! If you are still not outsourcing accounting work you are wasting the opportunity of the decade! *A profit increase to 42% was reported by one of our clients - your results may differ. 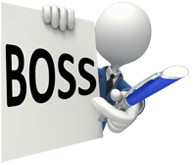 If you want to increase your profit immediately, practically eliminate staffing problems and set yourself up for massive growth, call BOSS on 1800 88 92 32 or fill out our Contact Request Form NOW!